The Learning Cove is a ministry offered by McGregor Baptist Church Preschool on Monday, Wednesday, and Friday from 9:00 AM – 2:00 PM. 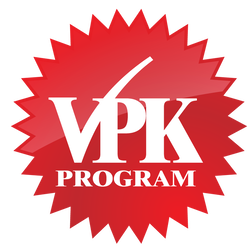 We also offer a 3-day a week VPK program on Monday, Wednesday, and Friday from 9:00 AM – 2:00 PM. This program prepares children from 18 months through Pre-K for their next step on their spiritual, academic and social journey God has planned for them. Children have an opportunity to explore Bible stories, ABCs, 123s, and character traits, such as sharing, through learning centers, art, music, movement, and worship in a fun, safe environment.